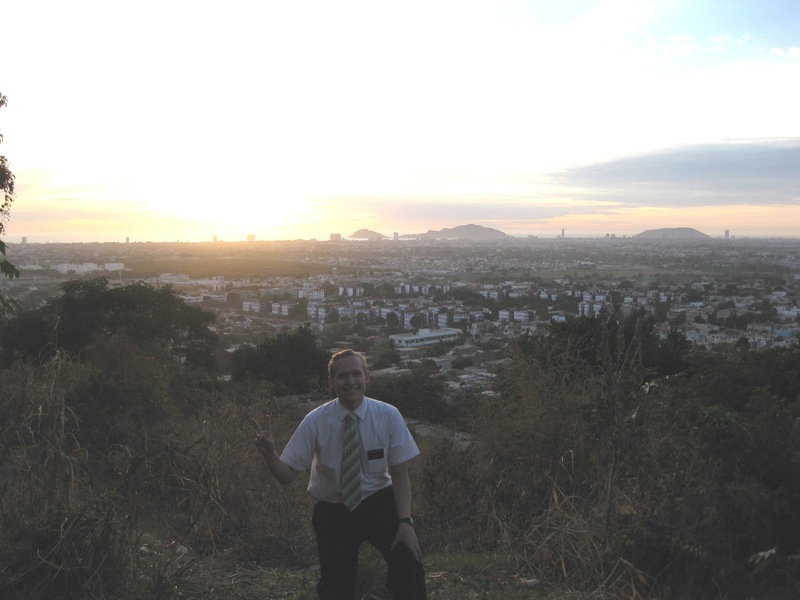 Elder David Carlson: Feliz Ano! Hope everyone had a good new years. Things went pretty good here. We ended up eating a lot of fish on new years eve and stayed at a member's house since there is a lot of partying going on this night. The next day when we were out looking for people to teach it looked a little more ghostly around the streets because a bunch of people were asleep. Nothing real crazy happened though! Things are going pretty good here. 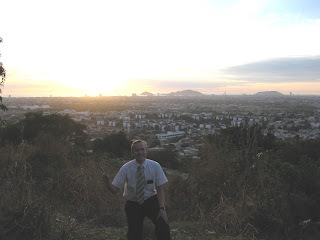 We got our new missionaries in Villa Verde last monday and we moved into our new apartment. 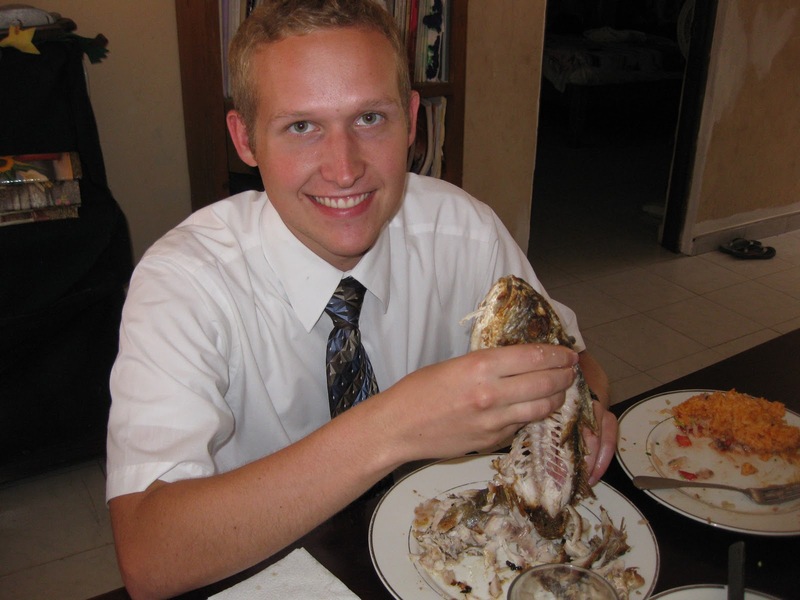 The brand new missionary is from the Dominican Republic and our district leader (his trainer) is a mexican from Veracruz. They both are pretty awesome though and we had a good week! It's funny because E. Garcia (dominican) has a very different kind of spanish accent. 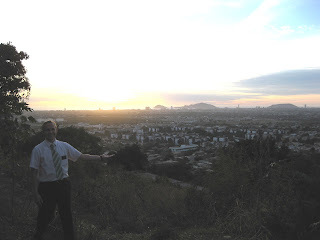 E. Hernandez (veracruz) seems like an awesome missionary and I'm excited to be working with them. Our new apartment is also a lot nicer and we ended up spending a lot of time cleaning it one day because missionarys hadn't lived there for like 9 months! We went on splits with the zone leaders and got some help from E. Garcia and E. Hernadez on Friday in our area because it's pretty much a new area. When we were over Villa Verde and Flores Magon we mainly walked and worked in Villa Verde. So now we are learning a lot more of Flores Magon and need even more investigators. We definitely had a lot of success with the splits though and got a lot of references from our contacting. E. Sessions went contacting with me and it helped me learn a lot about contacting! It was definitely a good day and we're starting to have some more success in the ward.. We also have a baptismal date on the 14th! We're teaching one of the a ward member's sister the lessons now and she wants her kids to be baptized (they aren't old enough yet though). She decided she wanted to be an example to them and get baptized first though. So it was definitely exciting when she told us that when we were teaching her last week! I better get going though. Thanks for all the support, prayers, and love! Hope you everyone starts their year out well! I'm pretty sure the Mayans are wrong and we have a lot more years until the world ends, but that's just my guess ; ).